One person sustained injuries in a police-involved shooting on Friday afternoon that occurred on Martin Street, according to the Passaic County Prosecutor’s Office. Police responded to a domestic violence incident on the third floor of an apartment complex on Martin Street and 21st Avenue at about 1 p.m., according to law enforcement sources. The responding officer was met by a man armed with a gun, said sources. The officer fired two rounds striking the armed man, according to officials. The officer reported the firearm discharge leading to the activation of the Passaic County Prosecutor’s Office Shooting Response Team. The wounded man was taken to St. Joseph’s Regional Medical Center for treatment. The police officer was not hurt, said city officials. Ryan said authorities have secured and the scene and the investigation is “active and ongoing.” She said more information will be released when it becomes available. 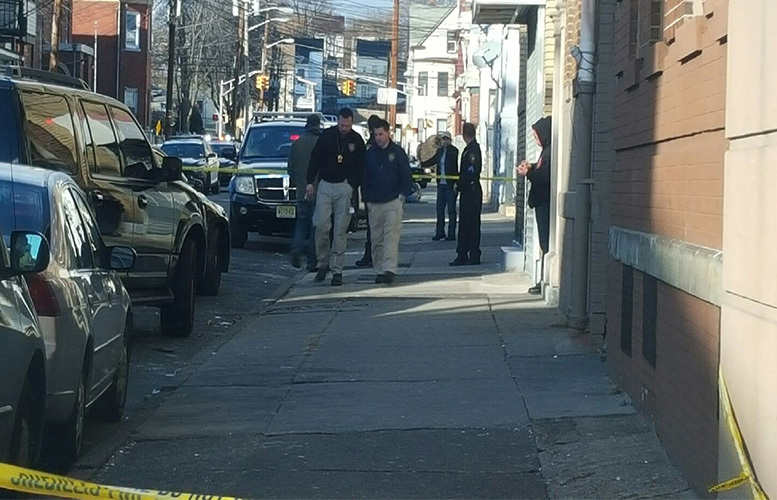 This is the 5th police-involved shooting in Paterson this year. 41-year-old Larry Bouie was shot by a policewoman outside of the Frank X. Graves Public Safety Complex on October 29th, 2016. His shooting sparked protest in the city from the Black Lives Matter movement. In the same month, an off-duty Harrison police officer was involved in a shooting on Oak and Madison Streets. Authorities arrested four people in connection with the October 14th, 2016 shooting. The police officer was fired upon by the group working together to cause him harm, said authorities. 36-year-old Ismael Miranda was killed in a police shooting on June 24th, 2016. He allegedly conspired with an accomplice to commit an armed robbery, according to authorities. He was found shooting at a minivan by the two plainclothes police officers, who identified themselves and ordered him to drop his weapon. Miranda refused — both officers fired. He was pronounced dead at the scene. On February 25th, 2016, off-duty police officer Dante Gordon discharged his weapon outside of the 7-Eleven in downtown Paterson. Two men were injured by fragment and debris from Gordon’s gunfire. He was charged with aggravated assault in connection with the shooting, said authorities.